Denise Fenzi is a writer, story teller, dog trainer, free spirit, entrepreneur, and advocate for people and animals – in no particular order. As a competitor, Denise is best known for her flashy and precise obedience work, as demonstrated by two AKC OTCH dogs and perfect scores in both schutzhund and Mondio Ringsport obedience. She has titled dogs in obedience, tracking, schutzhund, mondioring, herding, conformation, and agility. Scroll down to learn more about Denise’s various projects, from online learning opportunities to the Team Titling Program, with plenty more in between! With 8 books under her belt including several award-winners, there is a book for you! Learn directly from Denise through webinars, self study, and her highly popular online classes! Denise’s award-winning, content-rich blog has received close to two million views! Learn for free! 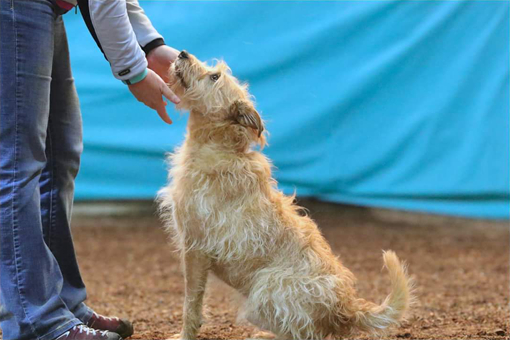 Fenzi Dog Sports Academy is an online dog training school dedicated to providing high quality instruction for competitive dog sports using only progressive and friendly training methods – our school is kind for both dogs and humans! TEAM stands for “Training Excellence Assessment Modules,” which perfectly describes our goal — a progression-oriented titling program that emphasizes excellence in training.